Apache Kafka and Apache Mesos are very well-known and successful Apache projects. A lot has happened in these projects since Confluent’s last blog post on the topic in July 2015. Microservices emerged as modern paradigm and architecture for many new projects. Container technologies like Docker and orchestration frameworks like Kubernetes took over in software architectures and became beloved by development and operations teams. 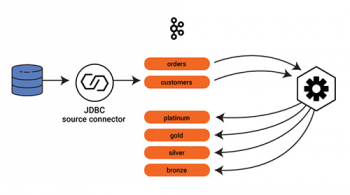 Confluent evolved to an event streaming platform with additional component around Kafka’s core messaging features, including Connect, Streams, the REST Proxy, Schema Registry, KSQL, Control Center, and others. 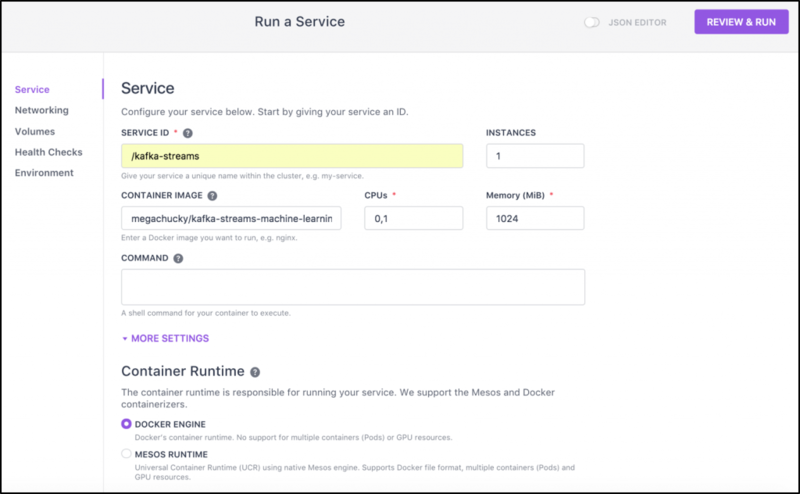 Mesosphere’s DC/OS established itself as the de facto standard for Mesos deployments. This blog post discusses how to build a highly scalable, mission-critical microservice infrastructure with Apache Kafka, its Streams API, and Apache Mesos respectively in their vendor-supported platforms from Confluent and Mesosphere. The Microservices paradigm establishes many benefits like autonomous teams and agile, flexible development and deployment of business logic. However, a Microservice architecture also creates many new challenges, like increased communication between distributed instances, the need for orchestration, new failover requirements, and resilient design patterns. Confluent for Microservices is a great resource for getting started if you want to learn more about how the Apache Kafka ecosystem can help you in building a scalable, mission-critical microservice architecture. A short summary can be found in the five-minute video, Microservices Explained by Confluent. The next section explains what Apache Mesos is and its relation to Mesosphere and DC/OS. Apache Mesos is a cluster manager that provides efficient resource isolation and sharing across distributed applications or frameworks. It sits between the application layer and the operating system. This makes it easy and efficient to deploy and manage applications in large-scale clustered environments. Apache Mesos abstracts away data center resources to make it easy to deploy and manage distributed applications and systems. DC/OS is a Mesosphere-backed framework on top of Apache Mesos. As a datacenter operating system, DC/OS is itself a distributed system, a cluster manager, a container platform, and an operating system. DC/OS has evolved a lot in the past couple of years, and supports new technologies like Docker as its container runtime or Kubernetes as its orchestration framework. The following sections describe how to leverage Mesos and DC/OS to build highly scalable microservices with the Kafka ecosystem. Automated provisioning and upgrading of Kafka components like Kafka Broker, Kafka Connect, Confluent REST Proxy, Confluent Schema Registry, Confluent Control Center or any Kafka Producer / Consumer application using the Java / Go / .NET / Python Clients, the Kafka Streams API, or using KSQL. Let’s now look at a practical example of how to set up a Kafka and microservices infrastructure on DC/OS to leverage all these benefits. This is separated into two parts: 1) setting up the Kafka infrastructure and 2) running Kafka-Streams-based microservices. All Kafka and Confluent infrastructure components are available in DC/OS’ catalog. You can start a new Kafka cluster with one click in the web UI or CLI command—or do specific configuration to customize the setup and cluster size for your project requirements. 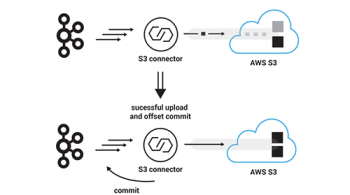 Other components from the Kafka ecosystem like Kafka Connect, Confluent REST Proxy, Confluent Schema Registry, or Confluent Control Center can be set up the same way. DC/OS provides you with one static “Kafka VIP connection URL.” Even if your dynamic cluster setup changes over time because of scaling up or down, failures, or rolling upgrades, you do not need to change the bootstrap address of any Kafka clients. After the Kafka cluster and other optional components like the Confluent Schema Registry are set up and run, you can deploy your Kafka Streams microservices. DC/OS supports Kubernetes in the meantime. Therefore, you could run Kafka brokers natively on Mesos while your Kafka Streams microservices are deployed and managed by Kubernetes. You can scale the microservice up and down manually, via scripting and thresholds, or using Marathon’s Autoscaling add-on. Kafka Streams automatically balances the incoming messages from Kafka topics to all existing instances (by default via round-robin). If an instance fails, Kafka Streams automatically moves the load to the other instances without any data loss. This allows to build highly scalable and mission-critical microservices. With the introduction of Exactly Once-Semantics (EOS) in Kafka 0.11 (https://www.confluent.io/blog/exactly-once-semantics-are-possible-heres-how-apache-kafka-does-it/), you can also build transactional business logic without much hassle. Everything described above is also true for KSQL, Confluent’s SQL streaming engine for Apache Kafka. Under the hood, a KSQL engine also uses Kafka Streams. Therefore, you can run and scale it via Docker, Kubernetes or DC/OS the same way as a Kafka Streams microservice. Hint: If you want to deploy and test your own Kafka Streams microservices on DC/OS, please be aware that Mesosphere’s Kafka Client (which is used in most examples and tutorials on the web) is no longer maintained and was last updated two years ago. It does not support Kafka’s Streams API, as it uses Kafka version 0.9. Kafka is backwards-compatible between brokers and clients, but Kafka Streams messages require timestamps. Thus, you need a newer Kafka Client. I created a Docker image using the same Dockerfile, but replacing Kafka 0.9 with version 0.11. Note that you can use any other Kafka Client, including Confluent’s Docker image. If you do not want to worry about security (e.g. firewalls and open ports), but just play around, you can start the Kafka Client within DC/OS environment using the command “dcos node ssh –master-proxy –leader” to connect and then run your Kafka Client (e.g. 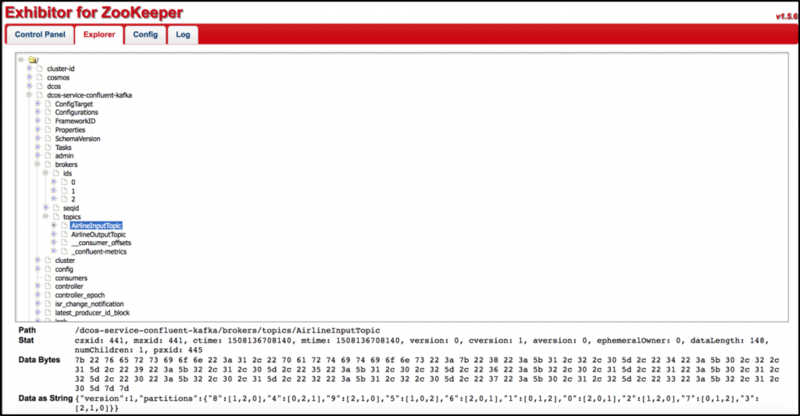 “docker run -it confluentinc/cp-kafka”). Successful microservice architectures require a highly scalable streaming infrastructure combined with a cloud-native platform which manages the distributed microservices. Apache Kafka offers a highly scalable, mission critical infrastructure for distributed messaging and integration. 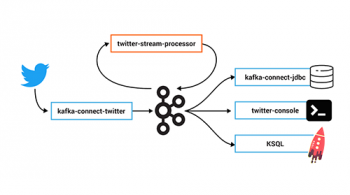 Kafka’s Streams API allows to embed stream processing into any application or microservice to add lightweight but scalable and mission-critical stream processing logic. 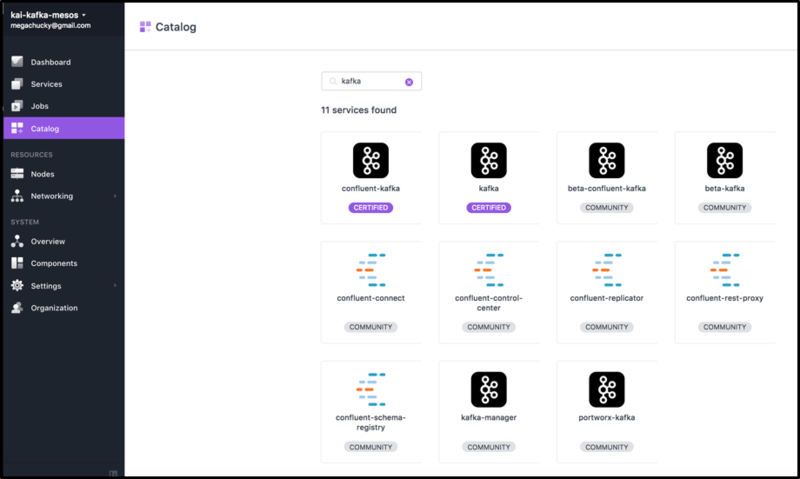 Mesosphere’s DC/OS enable management of both—Kafka / Confluent infrastructure components and Kafka Streams microservices—to leverage many built-in benefits like automated provisioning, upgrading, elastic scaling, unified management, and monitoring.